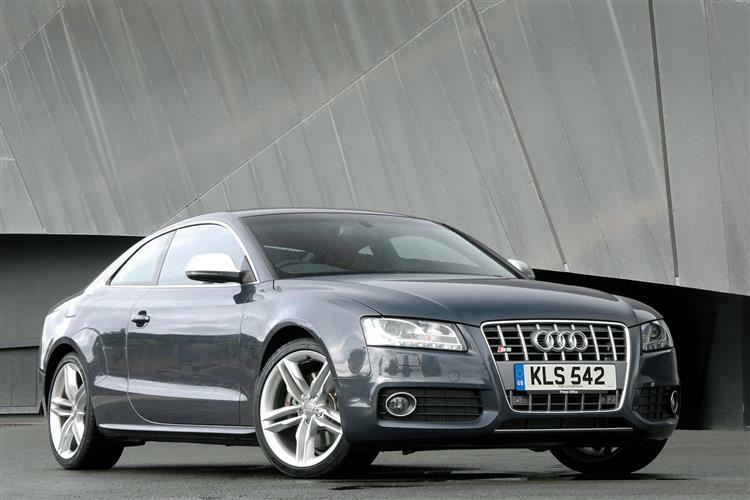 If you're looking for a desirable sporting Audi from the 2007 to 2016 era, the S5 is a tempting choice, whether you opt for Cabriolet, Sportback or Coupe. Here's what to look for when buying used. 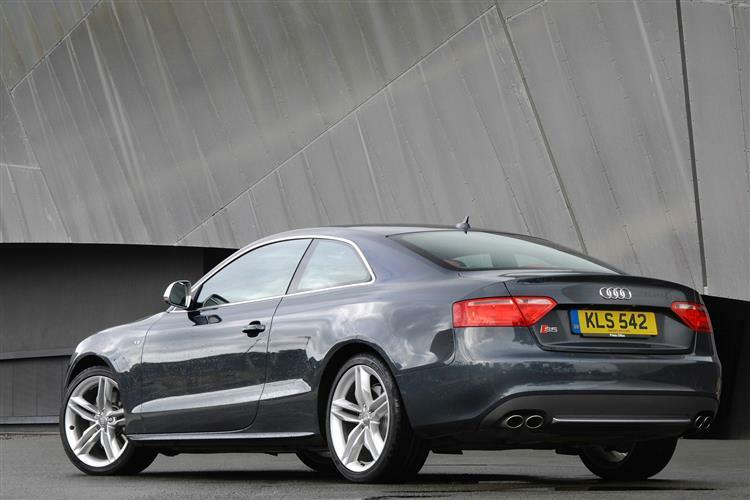 The Audi S5 was first announced in Coupe form in 2007, powered by the then-familiar 4.2-litre 349bhp V8 engine. The brand announced Cabriolet and Sportback S5 models in 2009 and 2010, but these were powered by its more efficient 3.0 TFSI supercharged 333bhp engine. The Coupe bodystyle also gained this V6 unit at the time of this S5 model's facelift in 2013. The S5 line-up sold until the introduction of the new generation 3.0-litre turbo model in late 2016. Audi has been careful to keep its sporting models both smart and subtle. 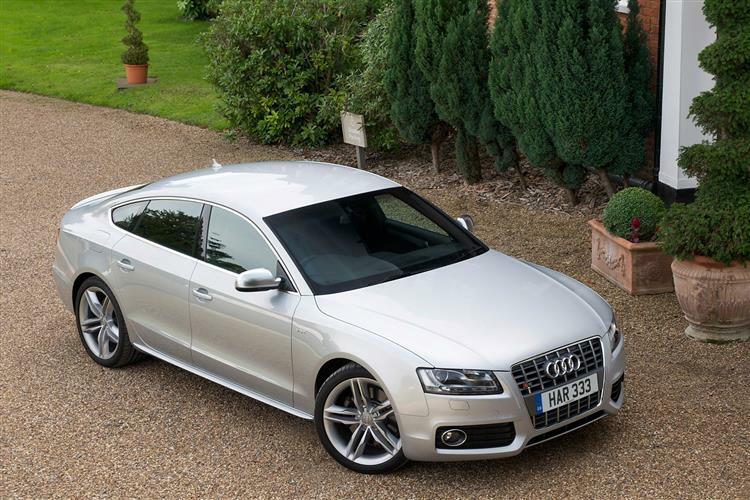 So S5 buyers get just enough to differentiate their cars from humbler A5 models - bigger front and rear bumpers, a platinum-effect front grille, quad exhausts, a silver windscreen surround and the usual aluminium-effect door mirrors. The Cabriolet version features a cloth hood that's acoustically-tuned to reduce noise and folds in only 15 seconds, before rising up again in just 17 seconds, at speeds of up to 31mph. That's at least 6 seconds faster than the metal folding roof on a rival BMW 3 Series Convertible, one reason why Audi has stuck with a rag top. We also love the way that when you put the roof up or down, it automatically changes the ventilation to either throw hot air at you or return you to air conditioned interior comfort, as appropriate. At the wheel, there's the usual classy Audi cabin, in this case enhanced by lovely touches like S-trimmed dials, LED downlighters in the footwells, various bits of brushed aluminium trim, perfectly proportioned leather sports seats and a grippy three-sport steering wheel with contrasting leather stitching. In the Cabriolet model, there's room for a couple of fully-sized adults in the back, though six-footers won't want to join you for longer trips. Obviously Coupe and five-door Sportback will offer slightly more rearward space. As for luggage room, well the boot in the soft top is bigger than you might expect, accommodating a sizable 380-litre luggage capacity when the hood is up and 320-litres roof-down. Compare that to the 350 and 210-litre figures you'd get in a Convertible BMW M3. 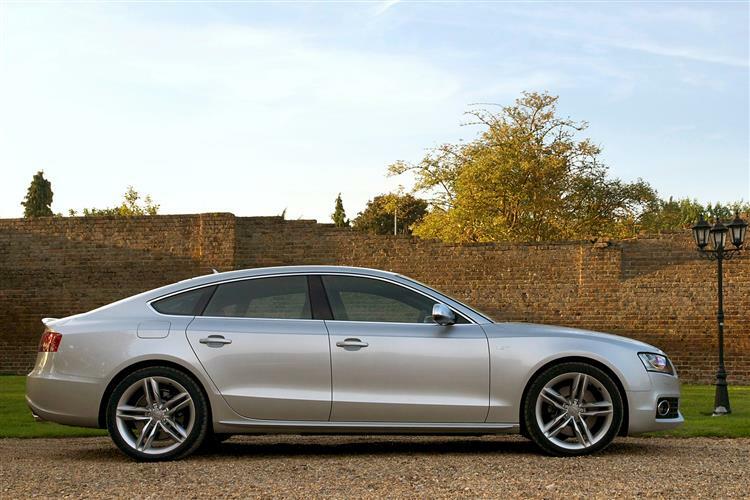 For reference, an S5 Coupe will offer you 455-litres (or 829-litres seats-folded) while for an S5 Sportback, the figures are either 480 or 980-litres. S5 engines - both V8 and V6 - are pretty reliable, though the V8 was apparently quite notorious for building up gunk on the intake manifold, which causes the flaps to open/close less efficiently resulting in a decrease in performance. Other than that, there isn't much. We found one owner who reported a brake squealing issue and took his car to his dealer who tried to make him get the brake rotor and callipers replaced. He didn't and that turned out to be unnecessary. We also came across an owner with an oil light issue and a handful who had reported brake grinding issues. Other than that, the only issues seem to relate to minor electrical glitches. Things like the Bluetooth not connecting and the auto-dimming rear view mirror not working. A number of owners have experienced issues with the electric window mechanism, so check that. One owner had a problem with the MMI infotainment system failing; another found dashboard rattles - and particular issues with rattly speakers. (approx based on a 2013 S5 3.0 TFSI) An air filter costs around £14 and an oil filter costs in the £2 to £4 bracket, though you can pay 10 to £12 for pricier brands. Brake pads sit in the £35 to £55 bracket for a set, though you could pay up to around £65 or even up to around £90 for a pricier brand. Brake discs can cost as little as around £45, though you could pay as much as around £70-£95 or even as much as £150-£200 for pricier brands. Wiper blades cost in the £15 to £16 bracket. A replacement shock absorber can cost as little as around £23, though you could pay as much as around £60 or even as much as £90-£115 for pricier brands. A replacement radiator is priced from around £130-£135, though you could pay as much as £175 - or even as much as around £220 for pricier brands. At the wheel of a model like this, you can see why Audi has in recent times achieved so much, so quickly. Quite apart from the fact that this model's most direct German rivals are in every way so much more expensive, it's able, like so many of Ingolstadt's other models, to strike a balance that's so much better suited to the kind of press-on driving that British buyers actually do. You see, if you regularly pounded up and down German autobahns, you'd appreciate the effortless powerful cruising ability of a comparable AMG Mercedes E-Class. In the same way that if you regularly used your car on track days, you'd love the razor-sharp dynamics of a BMW M3. Most buyers though, want a compromise between these two extremes. The work schedule that allows them to afford a car like this doesn't allow for extravagances like trackdays and rainy old Britain's clogged-up motorways don't offer many opportunities for high speed cruising. If I'm going to be able to properly enjoy a dynamically capable but luxurious sportscar, it needs to work with its environment, relaxed when it has to be, racy when it doesn't. It needs to be refined, sharp and supple - just like this one. It's not perfect (the steering for example, could be sharper) but overall, let us try and define for you just why this car works as well as it does - starting with the engine. In the Cabriolet version, it's the same supercharged 333PS 3.0-litre V6 TFSI unit used in the Audi S4, the difference being that in the open-topped model at least, you can enjoy the aural experience all the more, the eager crisp engine's snarling howl reverberating from buildings, bridges and trees every time you flick down a couple of cogs via the steering wheel-mounted paddle shifts. These shifters are standard in the Cabrio which uses a clever 7-speed double-clutch S-tronic semi-automatic transmission, one of the hi-tech breed that pre-selects the next gear for you before you've left the last one. It also ensures that you don't have to be an Audi test driver to replicate the quoted performance figures - rest to sixty in 5.6s in the soft-top model, on the way to an artificially limited top speed of 155mph. Quattro four wheel drive is standard of course - a major advantage over BMW and Mercedes rivals - a system that today diverts 60% of its energy to the rear wheels than those at the front, unless conditions dictate otherwise. Original buyers could also pay extra for the Quattro Sport differential which sharpens cornering by speeding up the outside rear wheel relative to the inside one to help point the car into a bend. Another original buyer option was the 'Drive Select' system which, via softer 'Comfort' or sharper 'Sport' buttons, offers changes to the responses of the steering, the dampers and the engine. Or you can set the system to your own 'Individual' settings. 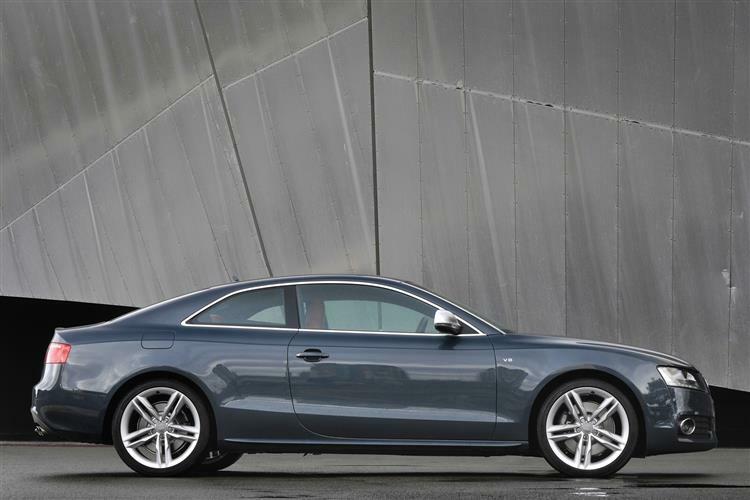 You could drive an S5 for the whole of its motoring life without suspecting the beast that lies beneath its bodywork. 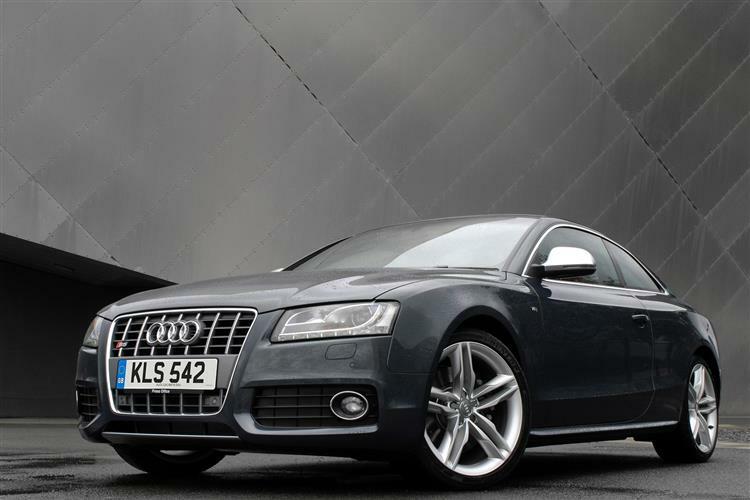 Some owners will - and that's a pity for this Audi's split personality can also promise a remarkably agile driver's car. True, it isn't quite as track-focused as a BMW M3, but then, it isn't as expensive to buy or to run either. As an ownership proposition, it's quite simply a more complete choice that sounds great, looks brilliant and is quite beautifully engineered. Audi's S badge always delivered a special experience. In this case, it's a properly sporting one too.